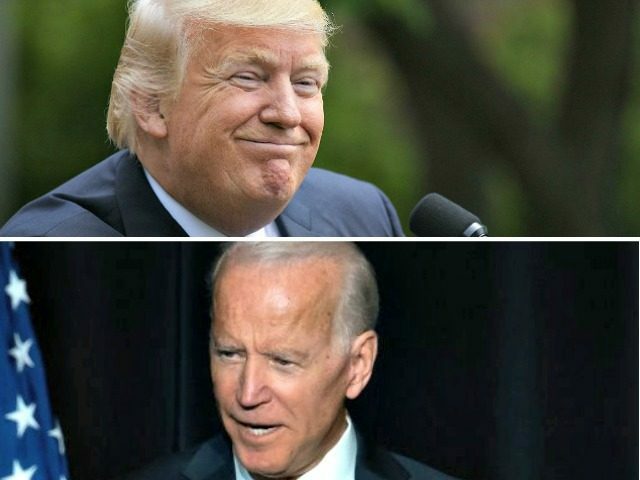 President Donald Trump ridiculed Joe Biden on Tuesday after the former Vice President received scrutiny for inappropriately touching women and children. "It looks like the only non-sort of heavy socialist, he's being taken care of pretty well by the socialists. They got to him," Trump said. The president commented on the controversy during remarks at the NRCC spring dinner in Washington, DC. "I was going to call him, I don't know him well, and say, 'Welcome to the world, Joe. Are you having a good time?'" Trump continued. Later in his speech, Trump joked that he was so happy after a General told him that they had defeated ISIS, he said he wanted to kiss him. "I felt like Joe Biden," he said, as the crowd laughed. But Trump predicted that he would be facing a Democratic socialist in his 2020 re-election campaign. "We're going into the war with some socialist," he said. He also polled the crowd on whether he should keep running on his "Make America Great Again" slogan or a new slogan, "Keep America Great." "MAGA ... how do you give that up for a new one?" he asked the crowd. "KAG? Maybe it catches on."